Home/Arts & Culture/Cultural Affairs/Will the Kim Possible reboot kill Disney Channel? Will the Kim Possible reboot kill Disney Channel? 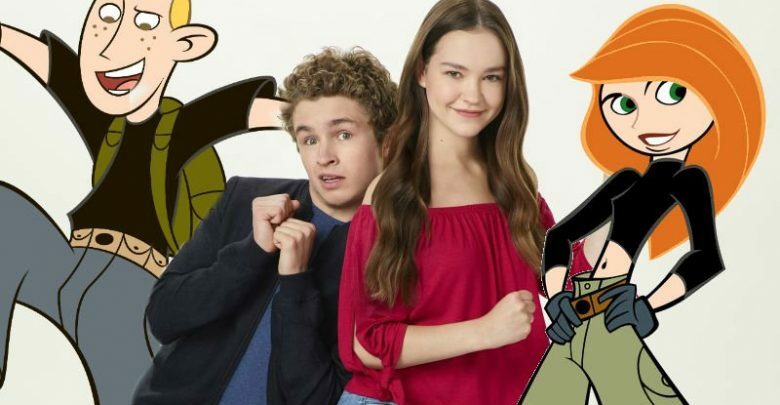 Disney Channel’s upcoming live-action remake of Kim Possible has left many fans asking “What’s the sitch?” with the influential children’s network’s programming. Disney Channel has received harsh criticism at every step of the way from fans of the original hit animated series, which ran from 2002 to 2007. The official trailer on YouTube has over 136 thousand dislikes, and reposts of clips on Twitter and Instagram frequently net tens of thousands of angry responses. Even a parody of the trailer by a YouTuber went viral. While it’s impossible to judge the movie’s quality until it premieres on February 15, it’s clear this remake is unlikely to be a success. Disney doesn’t seem to know what to do with Disney Channel anymore, aside from a handful of mildly popular sitcoms and movie franchises. With Kim Possible, attempting to cash in on trendy nostalgia with quick remakes has backfired spectacularly, and last year’s similarly weak musical remake of Freaky Friday had the lowest viewership of any Disney Channel Original Movie (DCOM) of the last decade. The Channel is a long way from its prime in the 2000s, which generated inescapable cross-media hits like High School Musical and Hannah Montana. This is in stark contrast to Disney’s unprecedented growth at the box office, which saw the company earn more money than any movie studio in history last year, beating its own 2016 record. With a huge amount of cash in the bank, why is Disney starving Disney Channel with low-budget productions? It’s the era of Peak TV, and new high-budget family-friendly series like Netflix’s A Series of Unfortunate Events and Lost in Space make productions like Kim Possible look painfully tacky. Disney Channel has always occupied a charmingly low-budget space in the Disney content ecosystem, but it’s starting to look out of date. Fans are right to expect more from a cultural juggernaut like Disney, especially when it’s choosing to resurrect beloved characters like Kim Possible. While we’re probably never going to get a gritty Riverdale-esque reboot of Kim Possible (as incredible as that would be), it is fair to expect the huge Hollywood action sequences and quality writing a great property like Kim Possible deserves. There is hope for Disney’s TV presence, as it launches its own Netflix competitor called Disney+ this September. Disney is spending hundreds of millions of dollars on new original Star Wars and Marvel programming for the service, along with a new High School Musical spin-off series. However, this still doesn’t spell out a plan for Disney Channel. Disney hasn’t confirmed how much Disney Channel content will be present on the service, but it would likely be confusing for viewers if Disney Channel content is placed next to the sky-high (no pun intended) budgets of Disney+ originals. The strength of Disney Channel IPs shouldn’t be underestimated: High School Musical 2 remains the most-watched non-sports basic-cable telecast of all time, and even the worst DCOMs still draw millions of viewers at a time when youth are abandoning traditional TV for the internet. If I were running Disney, I’d be throwing money at Disney Channel to maintain dominance. The lore-rich musical Descendants franchise and groundbreaking progressive sitcom Andi Mack have proven the creators at Disney Channel still have great ideas and a stable of triple-threat stars to pull them off, but they’re hampered by poor production that prevents them from breaking through to older audiences. In an era when youth are consuming ever-increasing amounts of provocative and violent media personalities like the Paul brothers and PewDiePie on YouTube, the age-appropriate characters on Disney Channel are important role models. While there’s plenty to criticize about the stories Disney chooses to tell, I’d rather have kids grow up watching Disney than the horrifying algorithmically-generated world of YouTube Kids. Let’s hope Disney smartens up and gives us the high-quality Disney Channel content we deserve, rather than leaving the iconic network to languish in the past. Horrible, made my inner child cry. I would never let my kids watch something this horrid and destroy such a wonderful classic. Disney NEEDS to try again and this time with a much better budget and guidance from the fans cause they definitely don’t know what the heck they are doing, just crushing dreams and hopes of something they definitely aren’t gonna deliver with this failure.